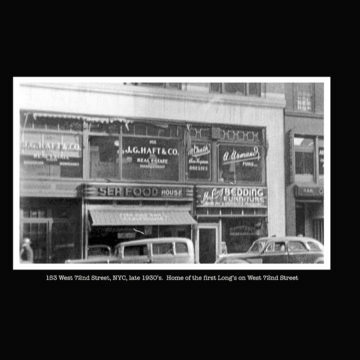 Long’s, a fourth generation family business, serves the world from its one Upper West Side Manhattan location. We take great pride to try and ensure a very positive experience for each customer. 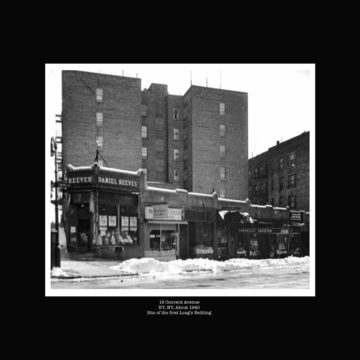 Founded in 1911 as a small factory in Harlem, Manhattan, NYC by Max Long. Retail store at 153 West 72nd, opened by second generation Harry in 1936. Harry moved the store down the block to 121 in 1962, where it is today. Bob (third) generation is still on his first job since 1963. Bob’s wife, Judie, started in 1983. Their daughter, Terri (fourth generation), came into the business in 1997. Terri operates the store today, with Bob and Judie in active supporting roles. We are located at 121 West 72nd Street, New York City. Public transportation is near our door. The M72 stops on our block. The M11 and M7 stop at West 72nd Street on Columbus and Amsterdam Avenues. The M5 and M57 have stops at Broadway and West 72nd. Subway service includes the 1, 2 and 3 lines at West 72nd and Broadway, plus the B and C lines at Central Park West and West 72nd Street. There is on-street parking on our block with the exception of the loading zone just in front of the store, off limits Monday through Saturday from 9-6. Beds can be ordered from anywhere, but finding the elusive great night’s sleep seems to be best by personal experience. We try to make the experience comfortable and pleasant, resulting in positive memories and a blissful night’s sleep. Our non-commissioned, knowledgeable, experienced staff will guide you to the right bed for your back and your budget. Nothing makes us happier than customers coming back to tell us how comfortable they are sleeping, every single night. Local and New York Metropolitan area deliveries are made by our own trucks staffed by our own trained employees. We will deliver and set up your new bed, always being respectful of your home and if desired, take the old bed to the refuse area on the property. We deliver Monday through Friday, choice of Morning or Afternoon time window. Saturdays can be arranged. Deliveries within the USA are via Long’s approved white glove services, brought into the home and set up in the desired room. International Deliveries are via approved forwarders. The forwarders can arrange for in-home delivery and set up, or deliver to a customer’s receiver or warehouse for pick up.